Swedish kladdkaka – too easy to make and way too tasty to not have a second helping. This is our best recipe for Kladdkaka as well as 5 interesting Kladdkaka-facts! Preheat oven to 175 degrees C. Lightly grease an 20-23cm springform cake tin. Melt the butter. Sift the flour, cocoa powder and salt; set aside. Stir the eggs into the sugar until smooth. Add the flour mixture, and stir just until combined. Pour in the vanilla and butter; stir until well combined. Pour the mixture into the prepared cake tin. Bake on the lower rack of the preheated oven for 20-25 minutes, or until the center has slightly set. Allow 30 minutes to cool down before removing it from the cake tin. Serve warm with vanilla ice cream, or refrigerate overnight and serve cold with whipped cream together with lots of fresh berries like raspberries and blueberries. Another twist is to make not one but three Kladdkaka, and layer it with chocolate cream. Perfect for any party or festive occasion. 1. ‘Kladdkaka’ is one of the most searched for words on Google within the food category. 2. Originates from Örebro, Sweden, baked by mistake in 1938 by Gudrun Isaksson who attempted to bake a brownie without baking powder. 3. There exisist several Facebook groups for ‘kladdkaka’. 4. ‘Kladdkaka’ translates to chocolate mud cake in english. 5. 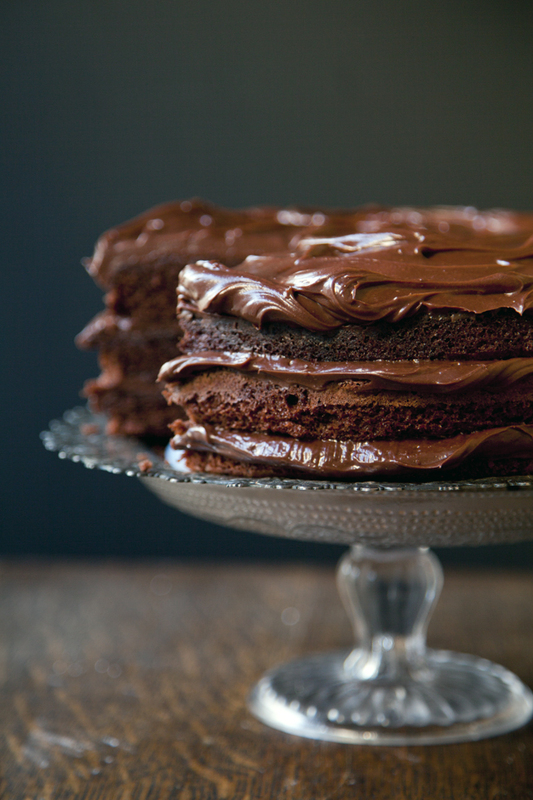 Nigella Lawson has perfected her very own ‘kladdkaka’ recipe after 4 years of baking it (yes -she must love chocolate! ).